1) Invitations & Save the Dates: You should order one for each individual, couple or family that you’re inviting. (Anyone over 18-years-old should receive a separate invite.) Order 10% more for any last-minute guests, returned mail and a little momento for yourself. 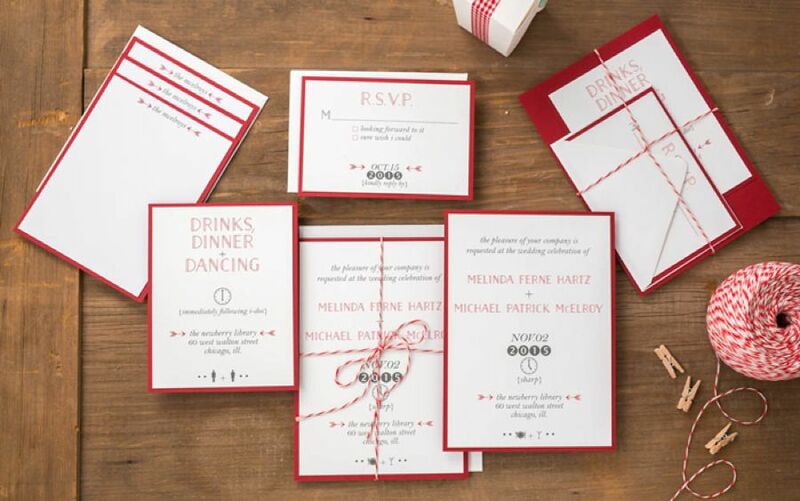 2) Menus: Order one for each wedding guest and a few extras as a keepsake for your scrapbook. 3) Place Cards: You will need one per couple or guest, but we also like providing a few extra BLANK cards in case there are any last minute changes. 4) Program Books: This is an area where we really tell our brides that they can cut. This can easily turn into a big waste of money! I suggest ordering 75% of your headcount – some brides go as low as 50%. Again, don’t forget to keep one for yourself. Another tidbit: Give your invitation suite to your photographer – or bring to your wedding, if you can remember! – and have it photographed on site of your special day. After all, it does set the tone of your fabulous affair!